It's the end of the year, and we're all doing our end-of-year lists. What games were amazingly successful? What games were hilarious failures? What games got my hopes up before being delayed until 2016? That's all interesting stuff to talk about, but it's kind of odd how these end-of-year lists focus on games that released in the last year, and not so much on what people played in the last year. I'm not suggesting that the music industry is a good thing for the videogame industry to emulate (please no) but it's worth noting that (for example) the Billboard Top 100 songs is based on public interest, not release date. Which means that old songs can rocket up the chart, even years after release. 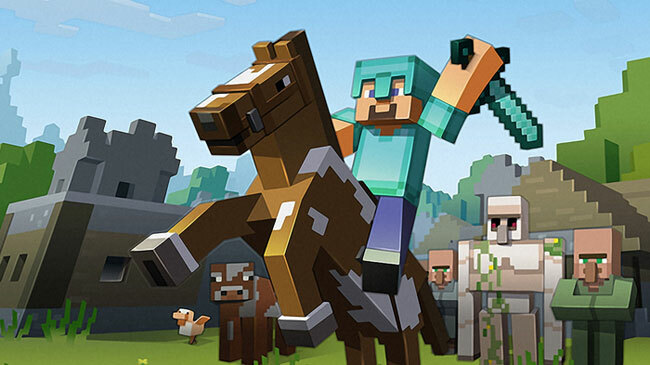 More people own Minecraft on the PC than own the XBox One or Wii U. When the pocket edition is taken into account, Minecraft is the third highest selling game of all time, only losing out to the 30 year old Tetris, and Wii Sports. (Because Wii Sports was the pack-in game on the Wii.) With no marketing campaign, Minecraft is (as of this writing) still selling around 7,000 units a day. Minecraft isn't just a single game. It's the foundation for an ever-growing collection of interconnected mods that completely transform the game in countless ways. Do you want the game to be harder? More like an RPG? More pets? More hats? More fancy craftable furniture? Real time shadows, bump mapping, or bloom lighting? More worlds to explore? More technical machines to build? Want to build rockets to go to the moon? More pets? Yup. There's a mod for that. In fact, there are often several. Even Skyrim can't hold a candle to the sheer scope of Minecraft mods. And despite all that, Minecraft isn't usually part of our discussions in the gaming community. If you went solely by the articles you see on major gaming sites (ignoring this article, obviously) you might assume everyone had stopped playing Minecraft a couple of years ago. You might argue that it's just that critics had their say years ago and don't want to repeat themselves. Except, you'd get the same result if you looked at the average gaming-site forum: You'll see far more articles and threads about (say) the new Tomb Raider game or the new Minecraft adventure game spinoff from Telltale, despite the fact that Minecraft probably has several orders of magnitude more hours played than either game. The Minecraft discussion has retreated into a subculture of Minecraft-focused forums and YouTube channels, and we rarely glimpse it from out here. This isn't a bad thing. I'm not saying we need "more" articles on Minecraft. (We probably have as many articles as people care to read.) I just find it strange that this game has basically vanished from the discussion while still seeing a regular release of new mods, new players, and servers logging thousands and thousands of hours of player time. Imagine if in the heyday of World of Warcraft, hardly anyone felt the need to write articles about it. Minecraft is the elephant in the room. Minecraft has basically transcended gaming culture. It's so big nobody feels the need to discuss it. It's so big its presence is taken for granted.